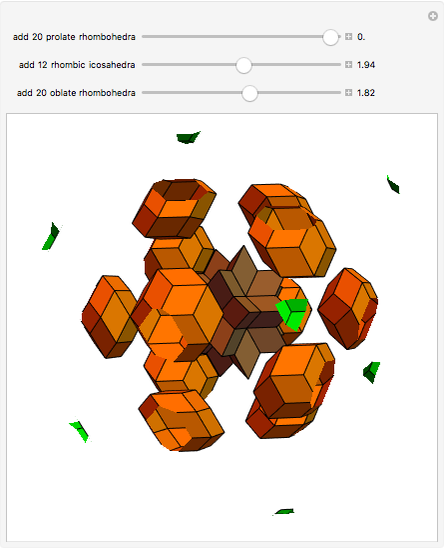 This Demonstration shows a decomposition of a double rhombic triacontahedron into 20 prolate (acute) golden rhombohedra, 12 rhombic icosahedra, and 20 oblate (obtuse) golden rhombohedra. 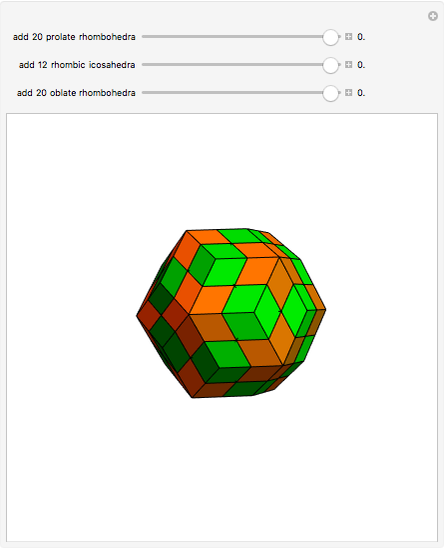 P. R. Cromwell, Polyhedra, Cambridge: Cambridge University Press, 1997 p. 154. Izidor Hafner "Decomposition of a Double Triacontahedron"